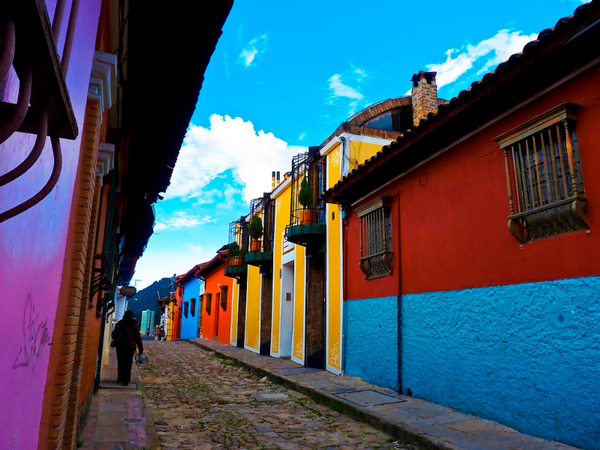 Home > Colombia beyond the thrill! Overnight at Abadia Colonial hotel in Classic room. 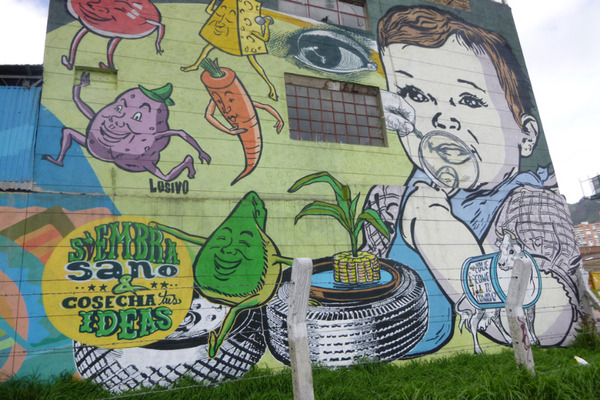 Departure by bike, to discover the new phenomenon of Bogotá: graffiti. In recent years, the walls of the city has been transformed into canvases giving graffiti artists a playground without limits. During this tour you will discover the most beautiful works created, sometimes gigantic and always with a very strong message. Some artists are even paid by the city for their work such as Toxicómano, DJ LU or Lesivo for the most known. 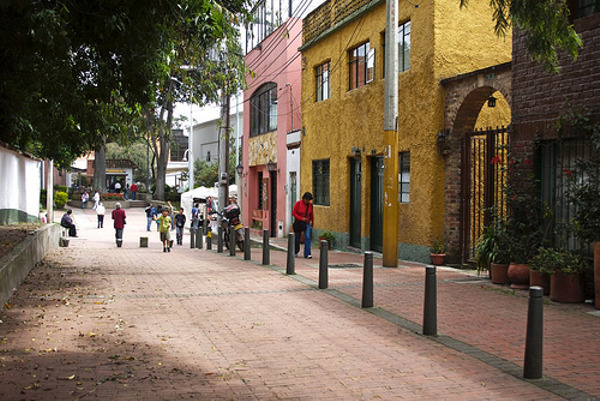 On Sundays, you can even join the Colombians on the famous “Bogotanos Ciclovía” a way reserved for cyclists only. 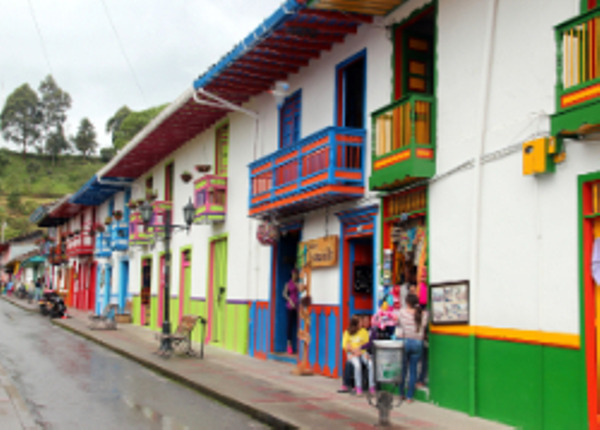 You will head North of Bogota to discover another facet of the Colombian capital: the “Zona Rosa”. 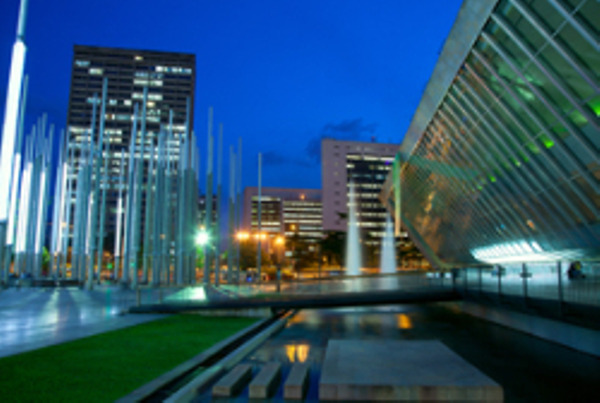 The upscale and trendy district of Usaquen is a real historic oasis in the middle of the shopping malls and residential areas. 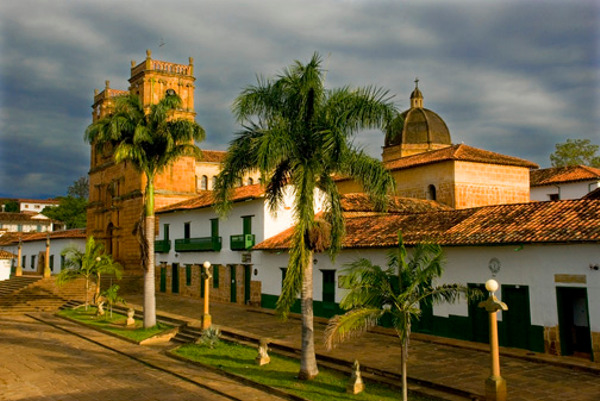 On every Sunday, in front of the church Santa-Barbara (built in 1661), antique dealers and craftsmen meet during the traditional flea market. Departure for Chingaza, in Bogota surroundings. This Natural Park houses numerous plant species and animals. 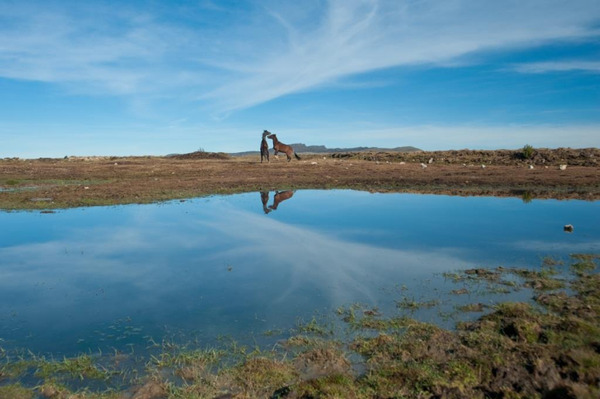 During a walk through the park, you will enjoy the landscapes with its sacred lagoons from the Muisca civilization. 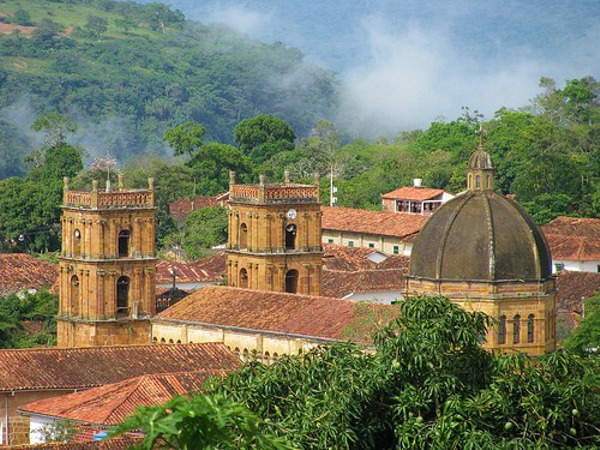 In the afternoon, you will go back to the car to continue your trip till Villa de Leyva. Transfer to your hotel and end of the day free. Note 1: about 7 hours drive during the day (+-2h30 to reach the park and +-4h30 between Chingaza and Villa de Leyva). Note 2: Hiking in challenging hilly trails. Level moderate to difficult. About 3 to 4 hours of hike. Note 3: Pic-nic lunch included during the hike. Note 4: moderate to cold climate (4° C to 21.5° C) ; 800 to 4.020m above sea level. Overnight at Plazuela San Agustin hotel in Classic room. Departure for a hiking tour in the heart of Iguaque Sanctuary, on a foggy mountain plateau considered by the Muiscas as the birthplace of the mankind. 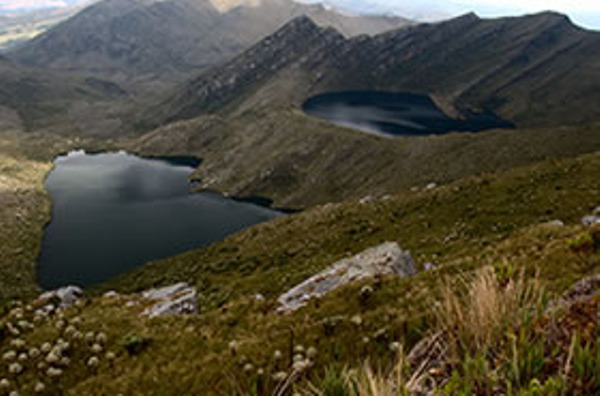 A walk through the tropical vegetation will lead you till Laguna Bachue, a 3600m high-altitude beautiful lake. This walk is a paradise for birdwatchers and nature lovers. Note 1: challenging hilly trail; 5 to 6 hours return walk in high altitude (2400 to 3800m); moderate to difficult level tour. Note 2: Wear comfortable walking shoes and cold-weather clothing (4° C to 12° C). Departure for the north-central department of Santander with its beautiful craggy mountains and its powerful waterfalls and rivers. On the way, you will stop at San Gil village. Free time for a walk in the beautiful Gallineral botanical garden. 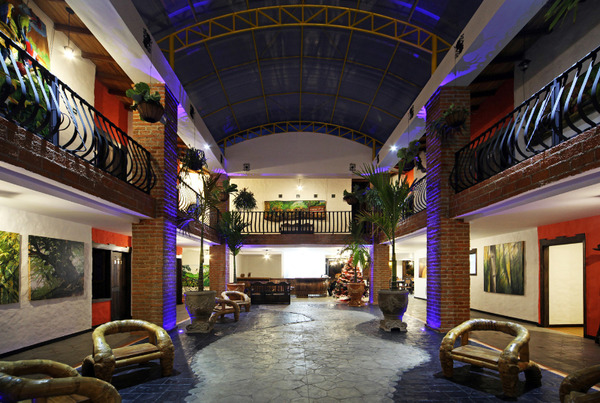 Installation in the hotel in Barichara, considered as one of the most beautiful city of Colombia. Overnight at Mision Santa Barbara hotel in Standard room. Half day dedicated to the discovery of the Santander region by bike. 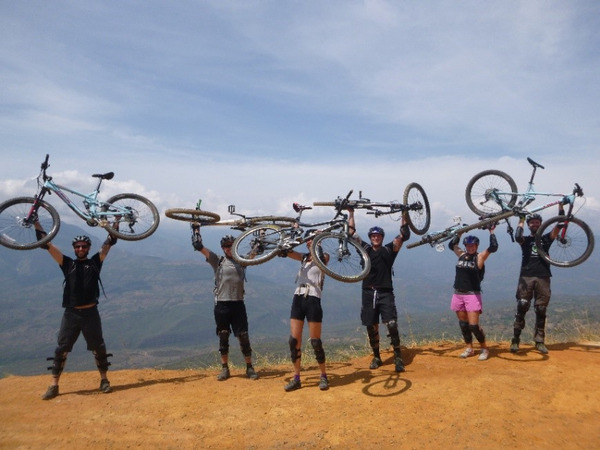 The morning begins at 1800 meters above the see level, in the Cabrera area, where you will start a descent of 25 km to the bottom of the majestic Suarez Canyon. 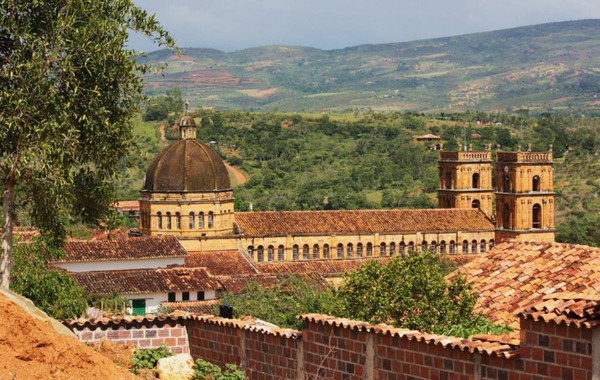 You will make a first stop at the Barichara watch over before reaching the small village of Guane. Finally you will reach the Suarez river where you can enjoy the landscape and also swim! On the way back to Barichara, you will stop for the lunch. Note 1: about 23km of mountain bike. Note 2: a support vehicle is present all along the route. Note 3: possibility to swim in Suarez river. 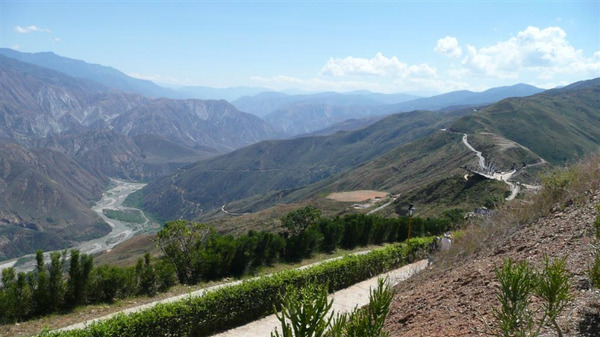 Day dedicated to the discovery of the Chicamocha Canyon, where still remains much land to be explore. Early in the morning, departure by car with your tour guide to reach Villanueva, the starting point of the hike. Then, you will start walking deep inside the canyon.The landscapes become more arid and the colors change. On the path, you might have the chance to taste the sweet fruit of the cactus that look like small peppers. Arrival to the riverbed for lunch in a refuge. You will have the possibility to cool off in a pool of mountains waters. Back to Barichara with the car in late afternoon. Note 1: 1100m of descent for an approximate total of 3 hours of walking. Note 2: bring water and swimsuit. Transfer from Barichara to Bucaramanga. Transfer to your hotel in Salento Village. Overnight at Salento Real hotel in Standard room. 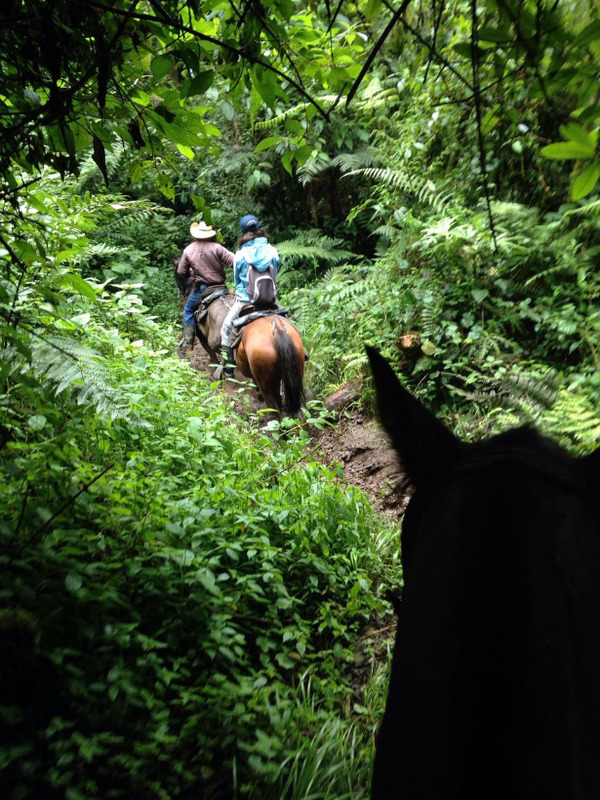 You will then discover a coffee plantation along a canopy. 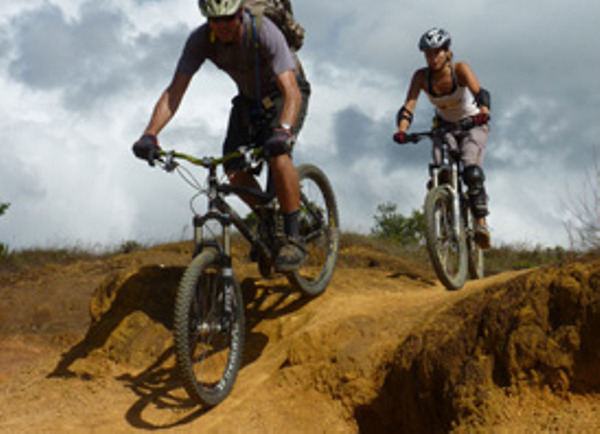 You will admire those beautiful landscapes from over 40 meters high above the coffee fields. 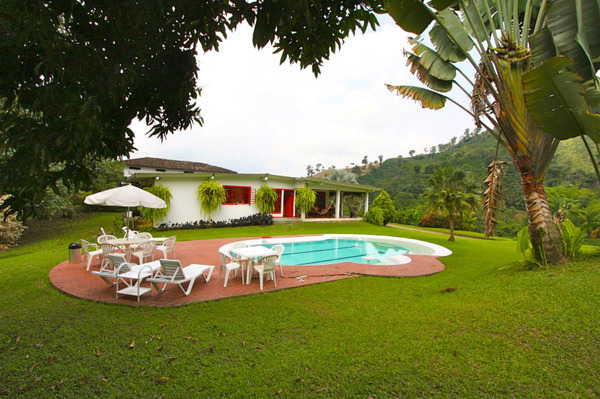 Transfer to Caldas department, to a Hacienda, a large traditional landed estate, nearby Manizales. Note: about 2 to 3 hours drive. Overnight at Hacienda Venecia hotel in Standard room. 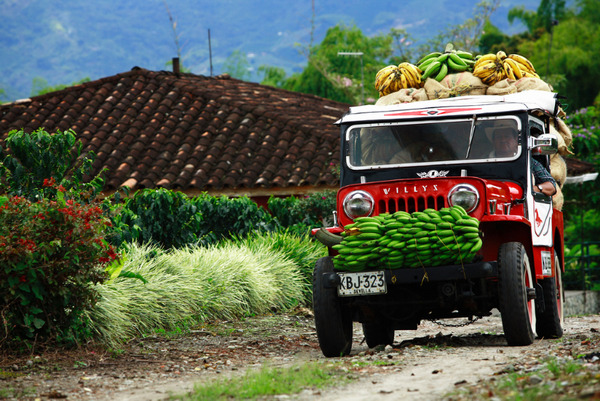 Early departure towards Los Nevados National Park for a day in the mountains of the coffee region. 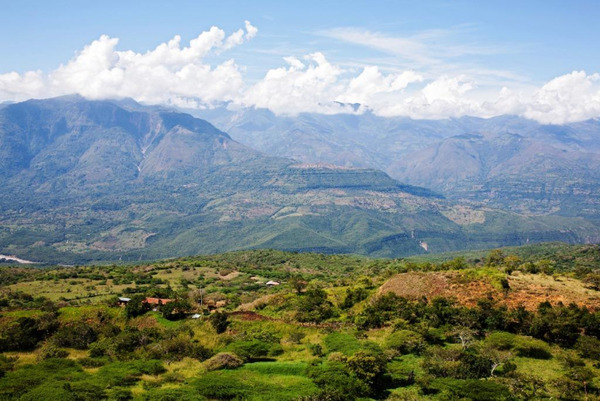 On the road, you will make a first stop at a mirador to enjoy the landscape and drink a hot coffee. 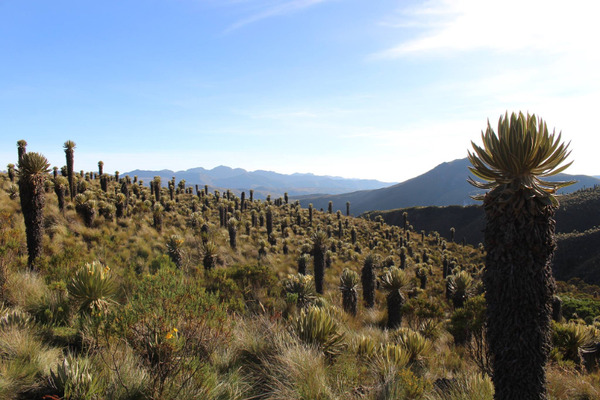 Continuation of the tour where you will start to discover the peculiar vegetation of Paramo. 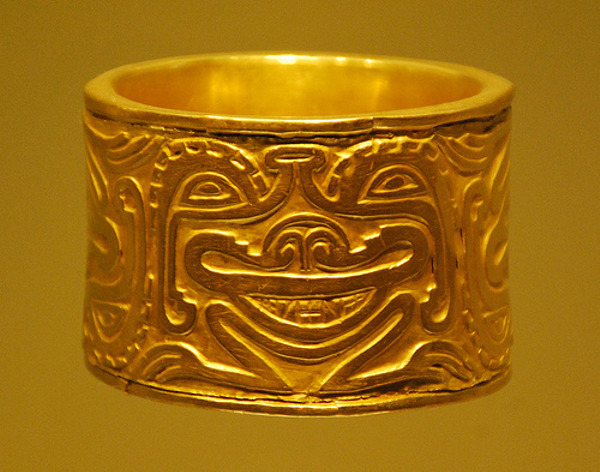 You will make a stop at the Negra Lagoon and at the waterfall of the Guali river. 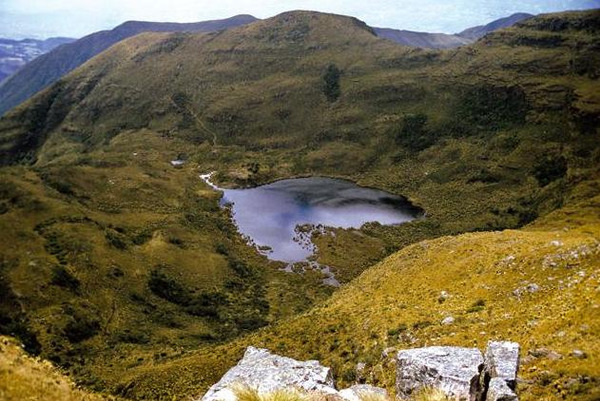 Then, you will reach a refuge situaed 4138m above sea level at the foot of Nevado del Ruiz volcano. 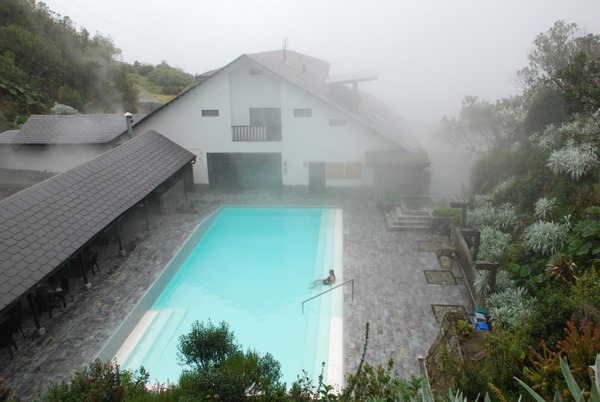 Finally, you will reach the natural hot water baths coming from the volcanic activity to enjoy a relaxing time. The place, very quiet, is perfect to watch many hummingbirds. Lunch by the pool. 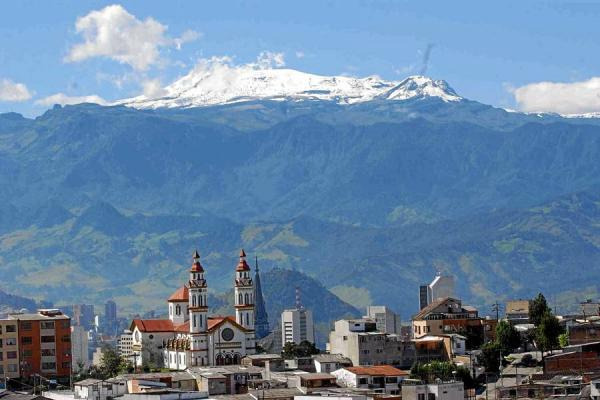 Go back to Manizales in the afternoon. Note: bring warm clothes and a swimsuit for the baths. Half day dedicated to the discovery of a large collection of orchids. Kept secret a long time, this 35-hectare estate will open its doors for you to share the passion of the owners for this plant with many varieties. During this walk, you will also have the opportunity to taste the different fruits growing there. You will end the tour around an excellent fresh juice while watching the numerous hummingbirds and enjoy the view of the Pacific mountains. Note: approximately 1h30 drive in total. Transfer from Manizales to Medellin. Note: about 4 hours drive. Overnight at The Charlee hotel in Charlee room. City tour about urban transformation and urban art. By foot and with a vehicle, you go through the places that have transformed the city. 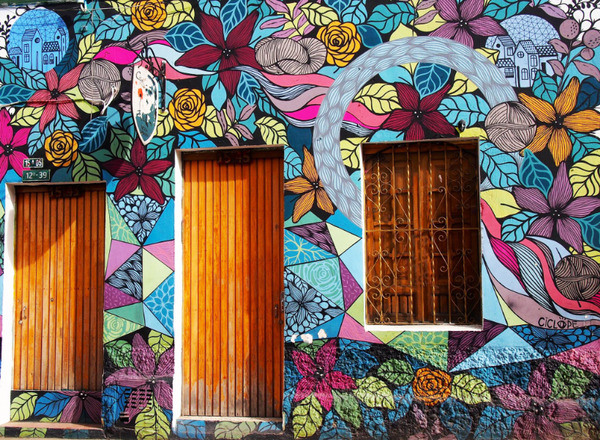 Your discovery will begin with the visit of Comuna 13, known for being a center of urban violence in Medellin. The arrival of the Metrocable, the building of a design library, and a hospital among others show the renewal of this neighborhood. Many graffiti are now part of the landscape of these towns and you will discover the meanings. 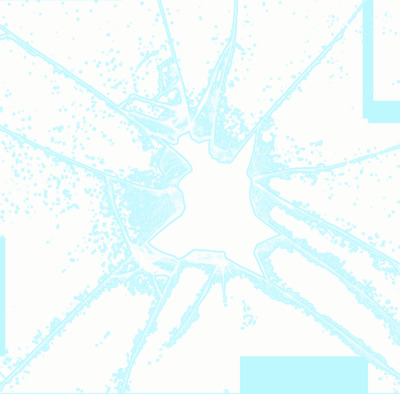 The collective of artists Casa Kolacho will explain you how they could save hundreds of young people from armed conflict through culture. Note: 6 hours round trip. Overnight at Ecohabs hotel in Tayrona Park in Bungalow room. Departure for one of the entrances of Tayrona National Park. Once you have been registered on the records of the park, you will go for a walk of about three hours. Here, birds have replaced tourists. After a nice climb, with a backdrop scenery of the Sierra Nevada, you can take a little break in an authentic Koghis camp. Resumption of walking, where you will go deeper into the forest. You will make a second break for the lunch (picnic), surrounded by wildlife and the impressive flora of the park. After a last walk, you will see a beautiful beach, which seems to be stuck between the mountains in the background and the blue Caribbean sea. This is in this magic place that you will stay overnight. A small waterfall is waiting for you, about fifteen minutes away in the middle of the forest, if you want to extend the walk in the afternoon. Overnight at Teyumakke Playa Brava hotel in Bungalow room (very basic comfort). After breakfast, you will go for a walk into the forest. You will reach another indigenous village which seems to be lost in the middle of the jungle. 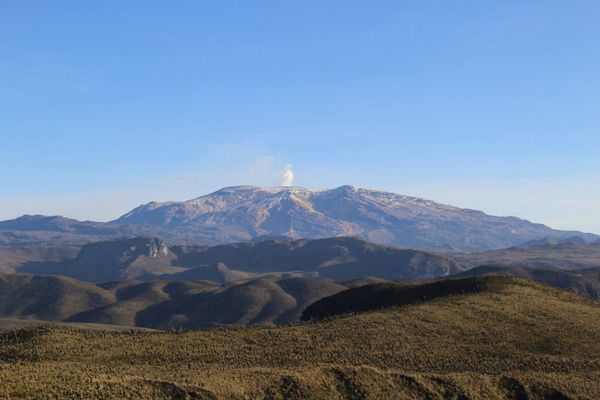 A few more efforts later and you will arrive at the sacred site of Pueblito. Here, the four tribes of the Sierra Nevada meet frequently. You will then go down to Cabo San Juan, one of the best beaches in the park where you can safely enjoy the Caribbean Sea. Transfer to your hotel by the end of the day. Note: Swimming can be hazardous at some beaches due to strong currents and undertows. We strongly discouraged it. Arrival at Bogota El Dorado airport and connexion for your international flight. 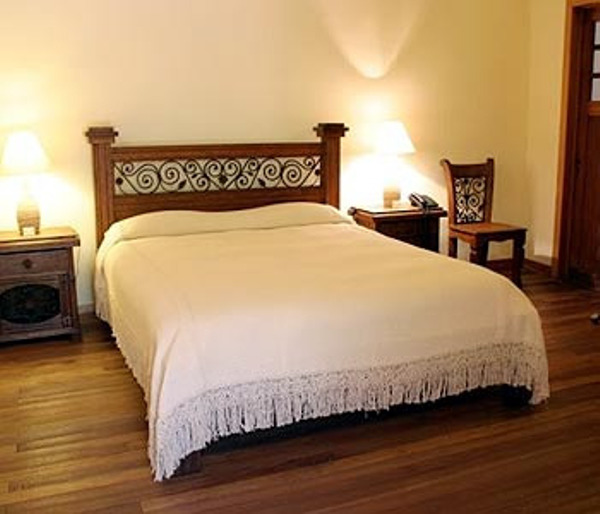 Housed in a charming colonial-style interior patios, Abadia Colonial offers rooms with wooden floors and wooden furniture just 100 meters from Candelaria Church. All have large windows that make them very bright. An American breakfast is served daily. 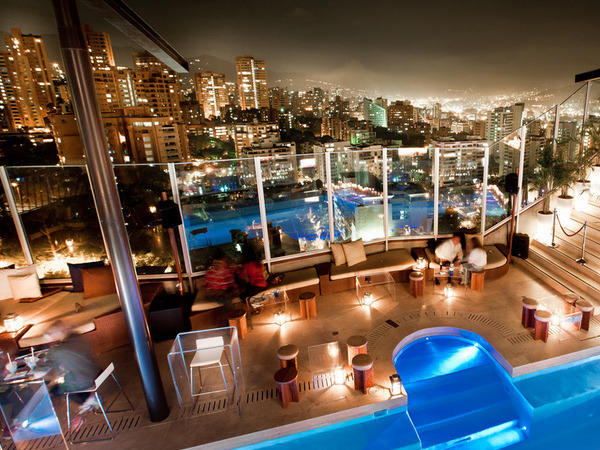 Italian and Colombian specialties can be enjoyed in the hotel restaurant, which offers views of the hill of Monserrate. 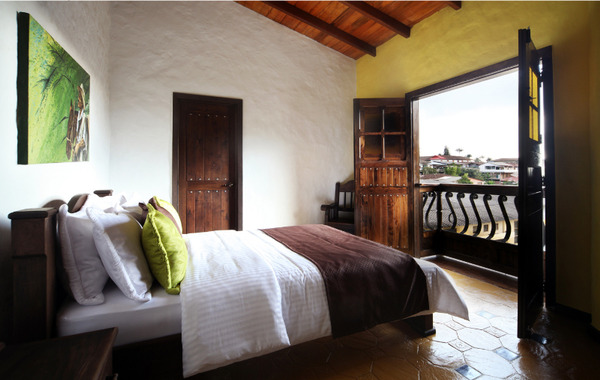 This boutique hotel is located in the historic center of Villa de Leyva, just steps from the Plaza Mayor. 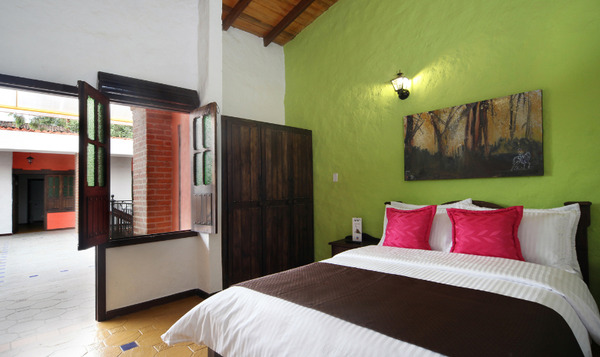 With its twenty rooms in colonial style and an interior patio, this is a perfect hideaway in the heart of the Colombian Andes. 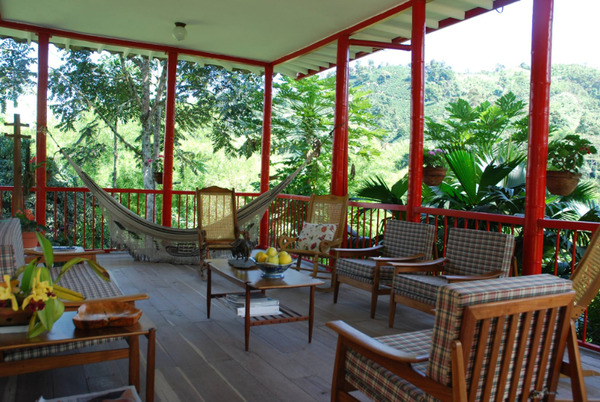 Former 19th century mansion converted into guest house, in the city center of Barichara. 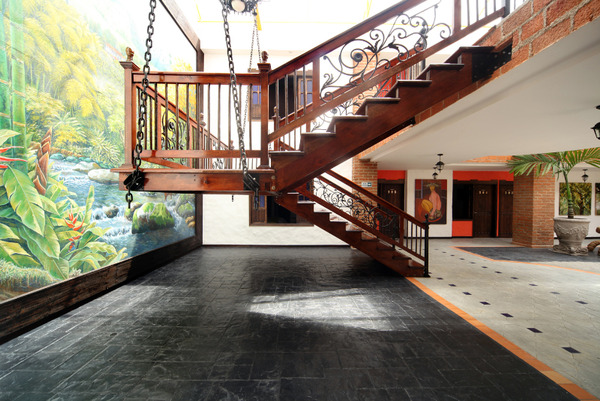 With 31 rustic but comfortable rooms, this charming ihotel is the ideal base for exploring the region. 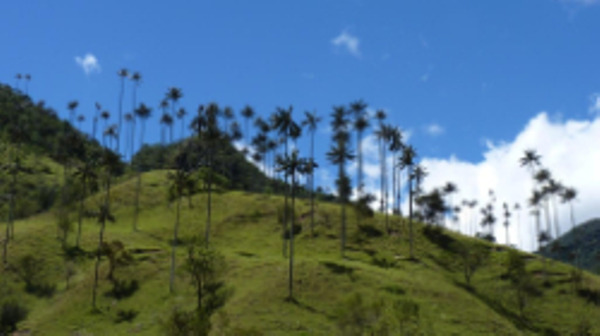 In the heart of the coffee region, Salento Real offers great location to visit the Cocora Valley. 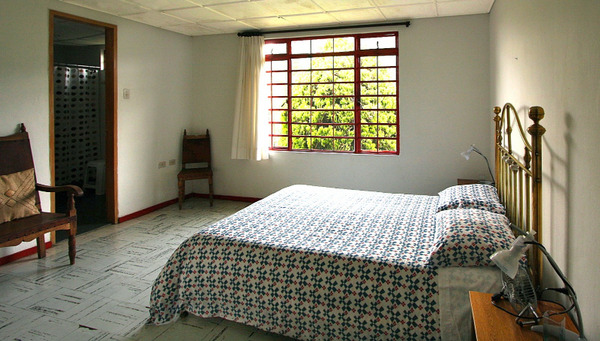 With a colonial style and comfortable rooms, this hotel will make your stay in the coffee region more authentic. 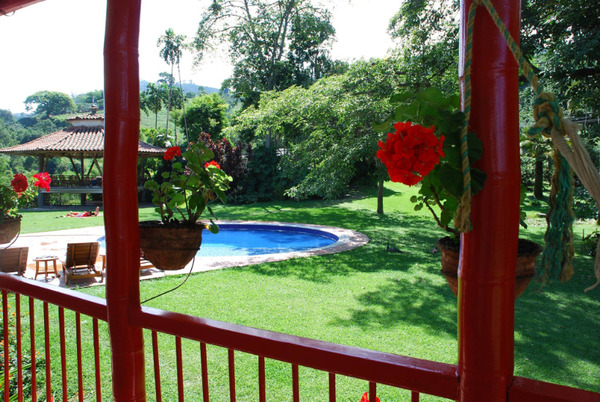 Offering a beautiful garden, the Hacienda Venecia is a coffee farm located few minutes away from Manizales city. The property offers accommodation in the main house. Guests can enjoy the on-site meals service and various activities in the surroundings, including a coffee tour, hiking and self-guided birdwatching. 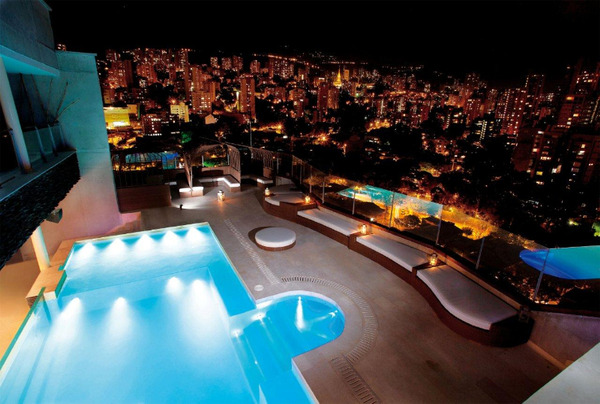 Beyond the classic hotel concept, The Charlee Hotel seeks to recreate your lifestyle by offering you, in addition, an exclusive service with a staff that strives to make you feel unique. 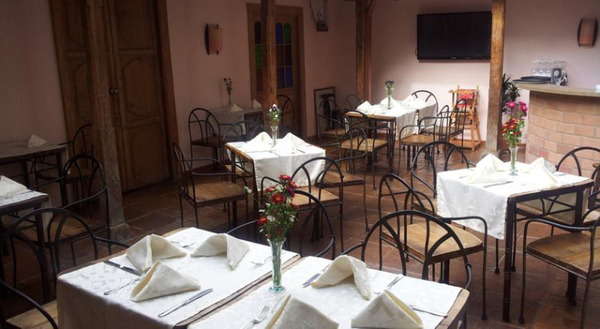 As for the restaurant Lucia, you will enjoy the best Tuscan cuisine, without leaving Medellín. 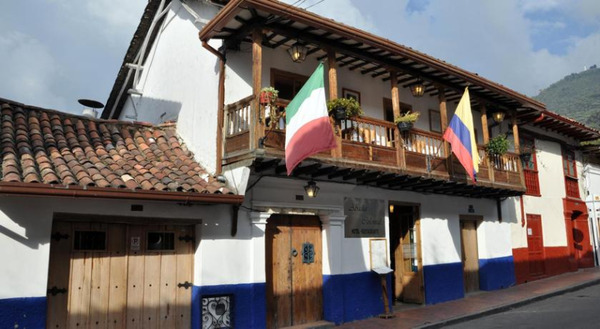 The Lucia has the best Colombian chefs and opens its doors to its guests and the public to offer to Medellín the incomparable contact of Italian cuisine. 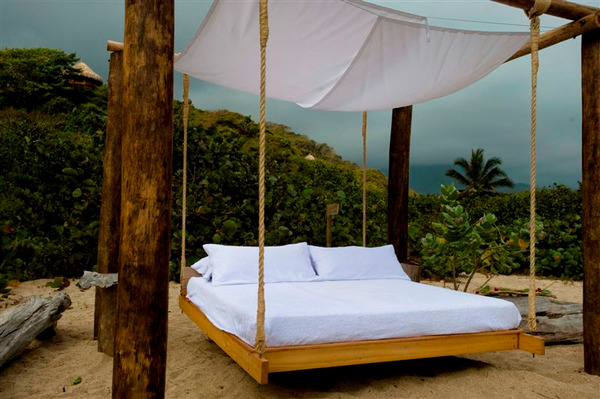 The Ecohabs are located on the beautiful beach of Canaveral inside Tayrona National Park. 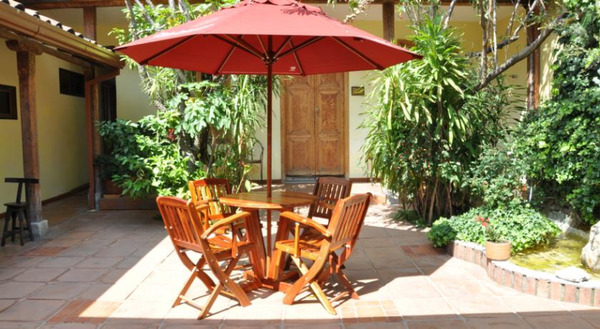 From your comfortable bungalows, you can enjoy the exclusivity of this little paradise. 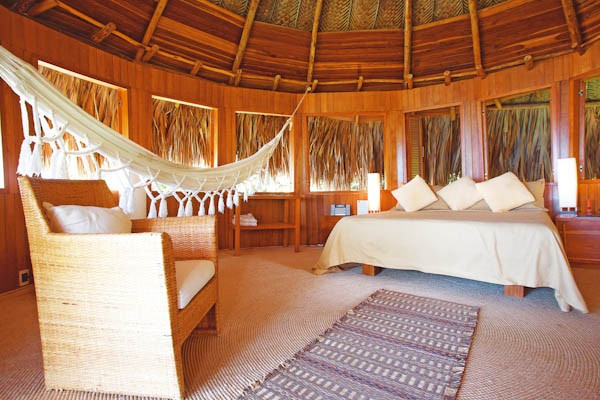 The bungalows are built with exotic wood and high ceilings covered with palm leaves, a design inspired by ancient Tayrona tribes. Each of the 14 bungalows offers magnificent views of the Caribbean Sea and the virgin forest of the park. 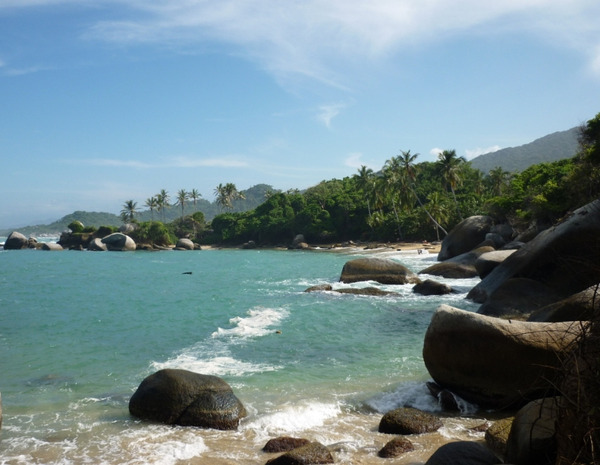 Since the Hotel, you can explore the rest of the Tayrona National Park. 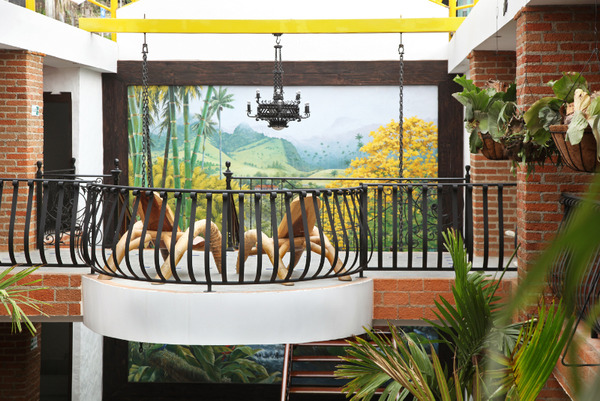 Hotel Playa Teyumakke is an exotic hidden place bathed by the warm waters of the Caribbean sea. Located in the middle of a luxuriant nature, it invites the guests to live few days in harmony with the jungle and beach environment. 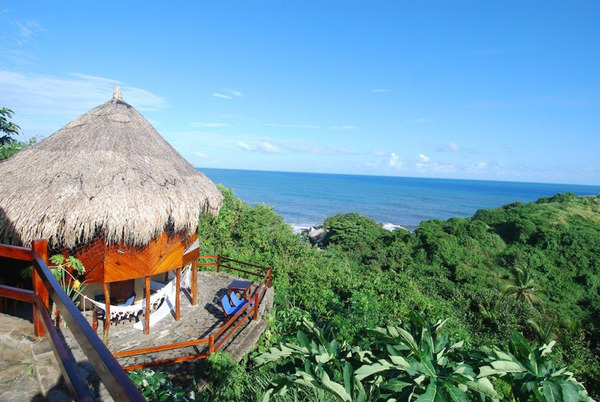 It offers comfortable and relaxed bungalows with sea view and hammocks to sleep or rest in the open air, where the breeze, the sun, and the sea become their accomplices to live a dream moment.